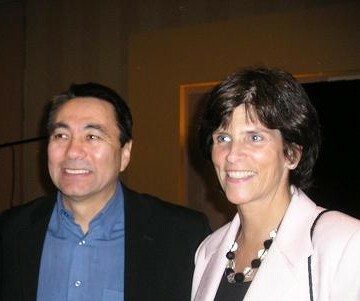 Dr. Doug Stringer, founder of Somebody Cares America/International and Marlene Yeo at the 2006 Summit. The “Somebody Cares” concept began in Houston in 1981 when a simple business card reading, “Somebody Cares, call 24 hours a day,” was distributed by founder Doug Stringer and others as they ministered to the lost on the streets of Houston. From there, Turning Point Ministries International began with Bible studies, evangelism outreaches, and discipleship ministries. Soon, the ministry was taking mission trips, planting churches, and sending out international ministries. Somebody Cares America/Int'l has grown leaps and bounds since 1994, now reaching into nations around the world. For more information on Dr. Doug Stringer and Somebody Cares America/Int'l please visit www.dougstringer.com. SCA is the parent organization to SCNE and by supporting SCNE you are supporting the greater vision of SCA.